In your summer garden, ladybugs are an asset, feeding on plants' natural enemies. In the winter, however, ladybugs can become an unwelcome nuisance indoors. Dealing with an infestation? Read on. This winter, you may find yourself with uninvited guests—orange-red Asian ladybugs. 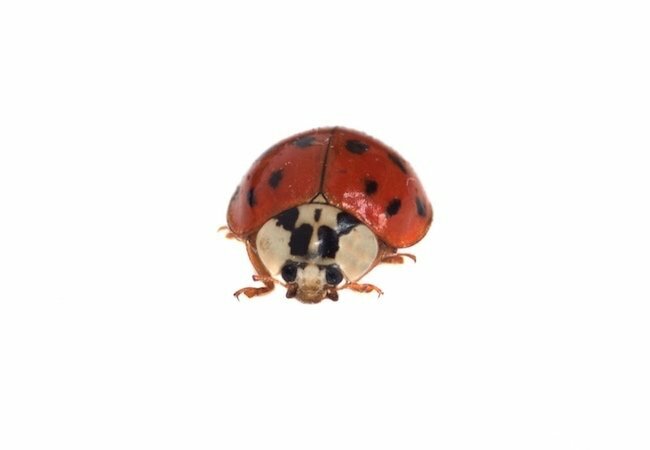 Imported to combat garden pests, Asian ladybugs like to spend the cold season indoors, where they favor light-color walls that receive plenty of sunshine. Since they leave pheromone trails, Asian ladybugs typically return to the same site to hibernate year after year. They pose no danger to you or your property, but when upon invading your home, their sheer numbers can be overwhelming. To end the problem, simply vacuum and then release the bugs outdoors. Careful—don’t sweep up the ladybugs, because when stressed, they secrete a smelly yellow liquid capable of staining walls and floors. To keep the bugs from finding their way back into the home, use weatherstripping and foam insulation to seal any cracks around doors, windows, and eaves. Also, note that it can be effective to spray insecticide, not in the garden, but against the home exterior, including the siding, trim, attic vents, and roof overhang.